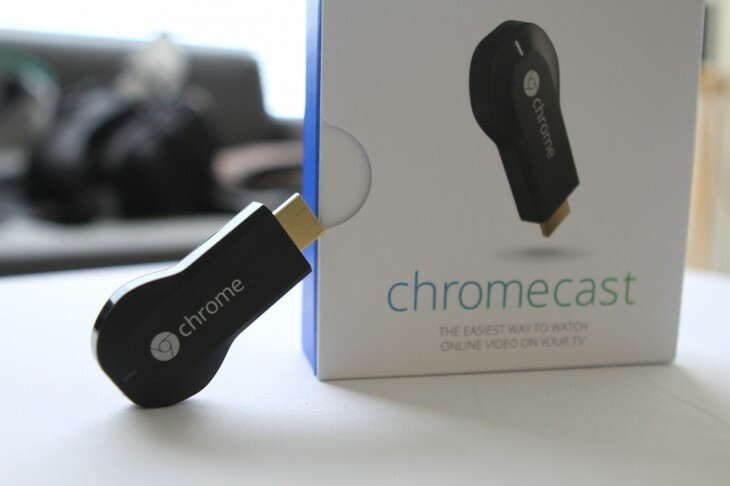 Google has started shipping its first batch of Chromecast devices, its HDMI TV plugin that lets you stream online video content onto your television. I received a review unit from Google after its press event yesterday and think that it’s a worthwhile device with enormous potential – particularly because it’s simple enough to take on the likes of Airplay, Apple TV, Roku, and even blu-ray players. Yesterday, Google’s Android and Chrome chief Sundar Pinchai said that the 2-inch hardware device would help create the easiest way for people to “enjoy online entertainment on the TV.” Based on what we’ve seen and experienced, Google looks to redefine what a universal remote control is. When I tested the device last night, there was a bit of lag in getting movies from YouTube and Netflix to play on the television, but it was tolerable. In using my Macbook Pro, I loaded up a Gabriel Iglesias comedy clip on YouTube and hit the Chromecast button and voila, it worked. If you close the browser tab, the media will still play on the TV. Something that might interest users is the fact that Chromecast appears to have the ability for different media to be streamed to different devices. Just like with Sonos devices, I can elect to have a TNW video with Tim Ferriss stream on my living room TV and have Psy’s “Gangnam Style” music video play on the TV in my bedroom – that is, if I have multiple Cast devices. Of course, since this is version 1, there are obvious limitations, such as the inability to push offline content, like movies and songs, to your TV as you would with Apple’s AirPlay. I wish the Chromecast would allow me to “cast” my local movie files over to my TV. I have digital copies of The Muppets, Transformers, Up and others scattered between my iPad, Macbook Pro, and desktop computer. Being able to consolidate those and push them to the TV to watch would be great. Some may say that you could create a web address to cast from, but for the average person, this makes things a bit complex. Update: Some local files do work by activating a cast on a Chrome tab that’s opened a file, but native media plugins such as Quicktime and Silverlight are not supported, so not all movie files will work. For instance, a video recorded on an iPhone caused an error, but one from a GoPro streamed after a short load time. 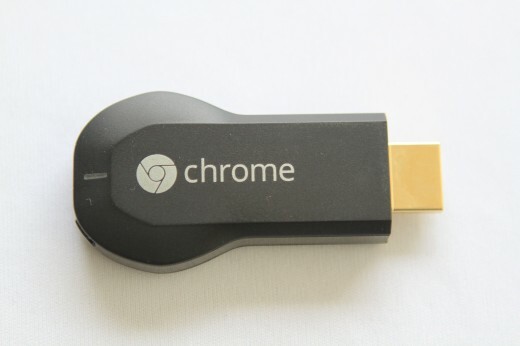 Since the device is an HDMI plugin, for those without a port on their TV, the Chromecast is unfortunately not for you. Currently, users can stream anything using the Google Chrome browser extension, as well as YouTube, Netflix, and movies from the Google Play store. That may be a tad limiting, but if it’s available on the browser, it should be possible to stream Vimeo, Spotify, Pandora, and Hulu, albeit it won’t looks as clean as you’d like. The device is a pretty good investment, especially seeing that it costs just a fraction of what you’d pay for an Apple TV, Roku, or blu-ray player. In fact, when installing the Chromecast, I unplugged my Roku, seeing that it would be a better experience with the Google device. As for remotes, who needs another one in their living room? Chromecast doesn’t come with one because the way to control it is with existing technology: your laptop, desktop, tablet, and phone. And since it’s Google, the device will be supported by Chromebooks in the future. Overall, the Chromecast is a good buy and shows promise, not only for the price, but also the potential use it could have in the future with other applications. 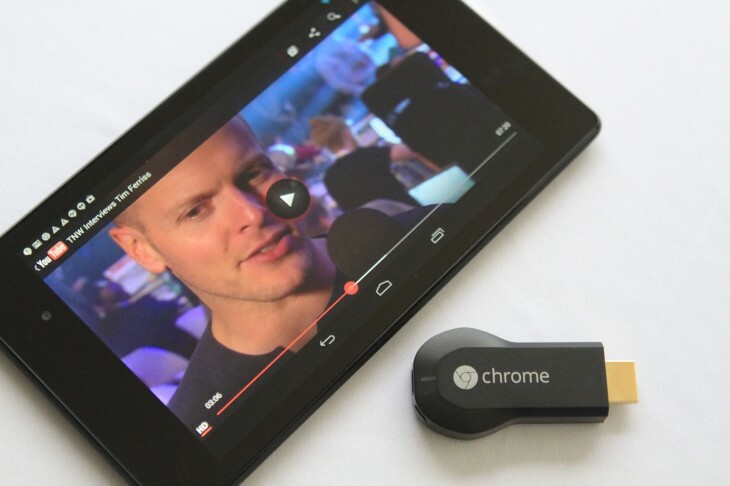 Chromecast streaming will be supported by Google TV: Can both platforms coexist?